Exactly 365 days ago I graduated from High School - it was one of the best and most memorable days of my life (as of now). 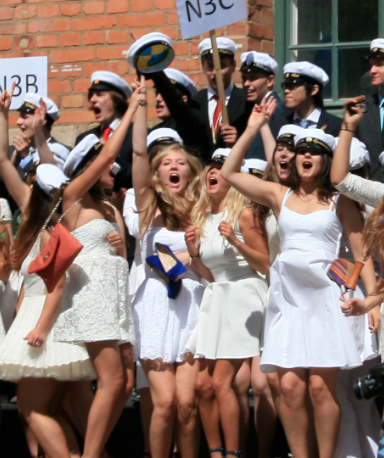 Graduation in Sweden is so funny and so different from what I was used to seeing going to an American School. There its all about order and accomplishment, everyone has to be fancy and calm and its much more of a formal occasion. In Sweden its pretty much all about drinking and partying... You start your day with a "Champagne breakfast" in a nearby park or garden, starting to drink at 8AM is never a good idea...so by the time you "graduate", which by the way means running out the school doors down to your waiting family and friends, you are preeeetty tipsy. After the "running out" you change into clothes you don't want to get ruined and then you jump on the back of a truck loaded with cheap beer and the biggest speakers there are...and drive around town spraying (not drinking) the beer on your classmates while listening to House music and disturbing the quiet Stockholmers. Its a hilarious way to celebrate a milestone like high school graduation - and I'm not sure which one I like more...the drinking and "un-serious" way that becomes more about your party afterwards...or the formal American way that makes you feel like you've conquered the world. Here are some photos from the big day. 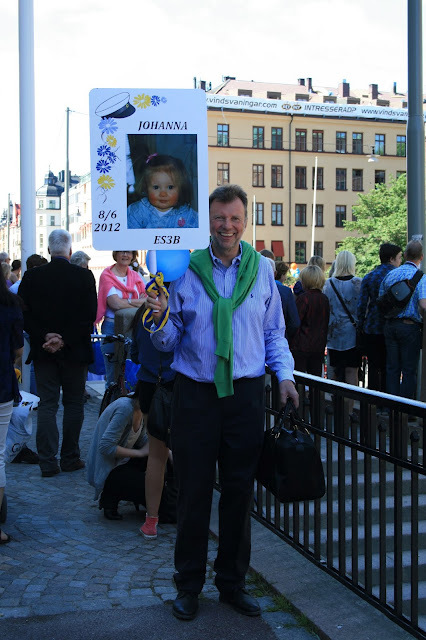 Tomorrow I'm off to my best friend Anna's graduation in Göteborg. She graduates on tuesday and I can't wait to be with her on her big day, AND give her her present that I've been planning and working on for weeks!! Going to be super exciting and I'll make sure to take loads of photos.